Interested in Linden’s rich cultural and architectural heritage? Do you want to support an organization dedicated to preserving that heritage? Become a member of the Linden Heritage Foundation! The Linden Heritage Foundation is a 501(c)(3) public charity. Success will be possible only through your friendship and support. A student membership may be taken by a person age 10-30 who is enrolled in at least three (3) accredited courses during the membership year. Upon founding of the Linden Heritage Foundation,individuals responded to our call to join as Charter Members and/or donated in memory of a loved one.. In order to give members the opportunity to support the Foundation at a higher monetary level in 2017, a Sustaining Member category has been approved by the Board of Directors. 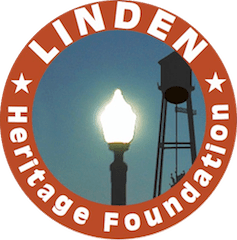 The work of the Linden Heritage Foundation is made possible by the generous support of people like you, people committed to preserving and celebrating the places and stories that make Linden distinctive and unique. A Sustaining Member will receive recognition on the Foundation website, if they wish, for the calendar year in which the gift is made. Membership dues may be payed online or by check. If you wish to pay by check, please send your name, address, telephone number, and email address to PO Box 507, Linden, TX 75563, USA and make your check payable to Linden Heritage Foundation. If you wish to join online, click the following “JOIN NOW” button to choose a membership category and become a member of the Linden Heritage Foundation. Memberships expire one year from the date of payment of dues. Linden Heritage Foundation is a recognized 501(c)(3) nonprofit organization (IRS #47-5126258). Your donations are therefore tax deductible. Thank you for your support! Please send an email to ContactUs@LindenHeritage.org if you have any questions.